NBA All-Star Lebron James announced the launch of a new public elementary school in his hometown of Akron, Ohio. The school, called "I Promise," is specifically for at-risk children and offers free tuition, free uniforms, free meals and snacks, free transportation within two miles, a free bicycle and helmet, access to a food pantry for students' families, and guaranteed tuition to the University of Akron for all graduates of the elementary school. Parents of the students will gain assistance in obtaining their GEDs as well as job placement services. The school is currently open only to third- and fourth-grade students. The Akron, Ohio Public School system decided on the students, with 120 students in each grade for the inaugural class. Each child selected is at least a year or more behind in reading level, and socioeconomic status also played a role in choosing the students for the I Promise school. By 2022, the school will expand to include first through eighth grade. 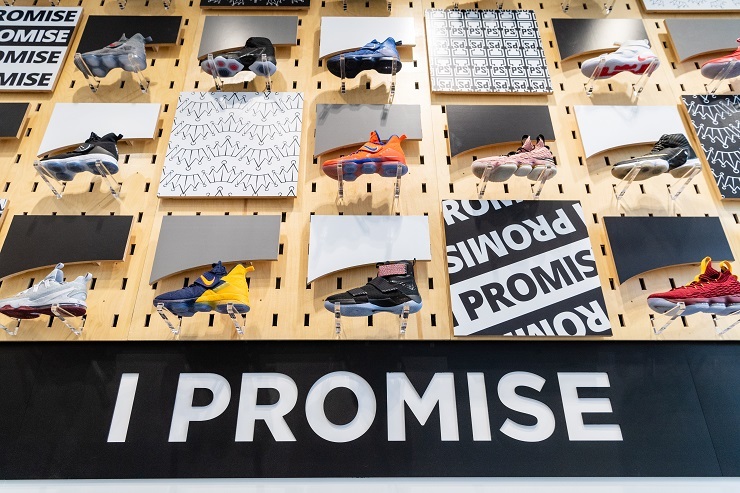 Though Lebron James has three NBA Championships and three MVP titles under his belt, he tweeted that the opening of the I Promise School is "one of the greatest moments (if not the greatest) of my life." James himself had missed a lot of school as a child, noting that he missed 83 days in fourth grade alone. His life could have taken a turn for the worse, but luckily he was able to get back on track. James said, "I know these kids basically more than they know themselves. Everything that they're going through as kids, I Know." There are currently 40 staff members who will be working at the school. The curriculum was developed with the help of Akron County educators, and includes a focus on hands-on STEM education and crafting problem-solving skills. The lobby of the school is decorated with 114 pairs of James' sneakers. James said, "For kids in general, all they want to know is that someone cares. And when they walk through that door I hope they know that someone cares."